Global markets for information-intensive products contain sharp information asymmetries that lead to market inefficiencies resulting from consumer purchasing decisions that are based on incomplete information. 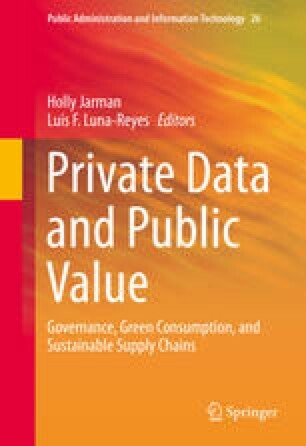 Elimination or reduction of such information asymmetries has long been the goal of governments as well as various nongovernmental entities that recognize that addressing issues such as sustainable production, socially just labor practices, and reduction in energy needs and health expenditure is closely linked to consumers being fully aware of the economic, environmental, and social impacts of their purchasing decisions. This chapter reports on the creation of ontology-enabled interoperable data infrastructure based on semantic technologies that would enable information sharing in traditionally information-restricted markets. The main technical result is a proof-of-concept set of data standards built on semantic technology applications and the functionalities of formal ontology of certification and inspection processes. The current proof of concept focuses specifically on certified fair-trade coffee, and while its applicability is currently limited, it has the potential to become universally applicable to any certification and inspection process for any product and service. In addition to producing a number of artifacts relevant to the expandability of the work, such as domain ontologies, the research indicates that while big data systems are necessary, they are not sufficient to create high levels of consumer trust. By testing the criteria using both hand-generated and automated queries, we are able to demonstrate that CIDIBB (Certification and Inspection Data Infrastructure Building Block) is not only able to test the trustworthiness of certification schemes but also that our ontology generates consistent results.